Should nongovernmental organizations be friends of intergovernmental courts? Put another way, is there a role for the NGO amicus curiae in tribunal that states have set up to deal with international disputes? Dolidze’s news hook is The “Arctic Sunrise” Case (Kingdom of the Netherlands v. Russian Federation), filed in late November with the Hamburg-based International Tribunal for the Law of the Sea. 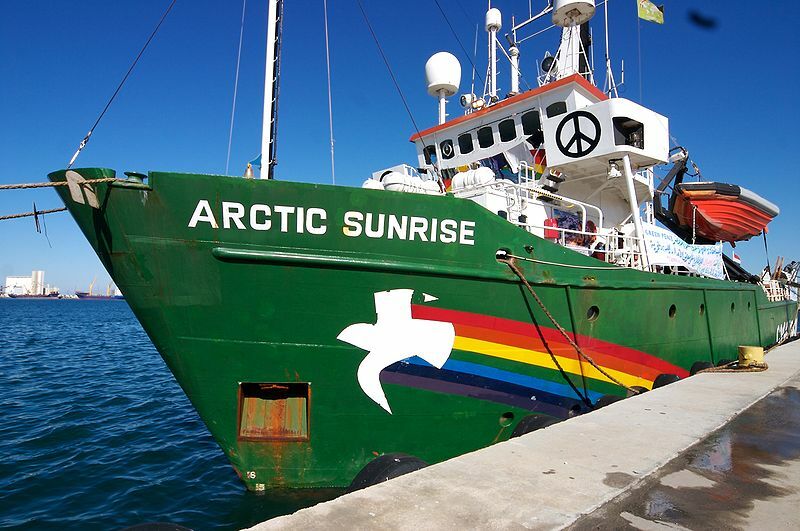 At issue was the seizure of Arctic Sunrise, Dutch-flagged ship owned by Greenpeace International, an NGO that, in its own words, “acts to change attitudes and behaviour, to protect and conserve the environment and to promote peace.” During a protest at the offshore oil rig Prirazlomnaya, Russia had seized the boat and detained its crew members on criminal charges. (credit for 2007 photo of the ship) They were not released till very recently. While the matter was pending, Russia declined to appear before the law of the sea tribunal – though it did object to a Greenpeace petition to file an amicus brief due, Dolidze reports, “to the ‘non-governmental nature’ of the submitting organization.” The tribunal thus kept the brief out of the case file, even though its members and the parties were able to review the document. Dolidze’s Insight underscores the tension in this resolution, given Russia’s nonappearance, on the one hand, and the direct effect of the dispute on Greenpeace, on the other hand. Not all agree this is a good thing. Dolidze points to a 2007 article in which Melbourne Law Professor Robin Eckersley favored NGO participation for its “potential of creating a transnational space for dialogue.” But she also quotes Arizona State Law Professor Daniel Bodansky’s 1999 caution that amicus litigation by nongovernmental organizations ought not to be conflated with public participation. Dolidze sees in the Greenpeace matter a timely opportunity to revive this debate. Reblogged this on The Hague International.